We were expecting an inch of rain; instead, we were blanketed by snow... in early November. I hate New England sometimes. Nevertheless, it seems like a perfect opportunity to look at the Tännforsen Igloos as a reminder that blustery temps can bring beauty. 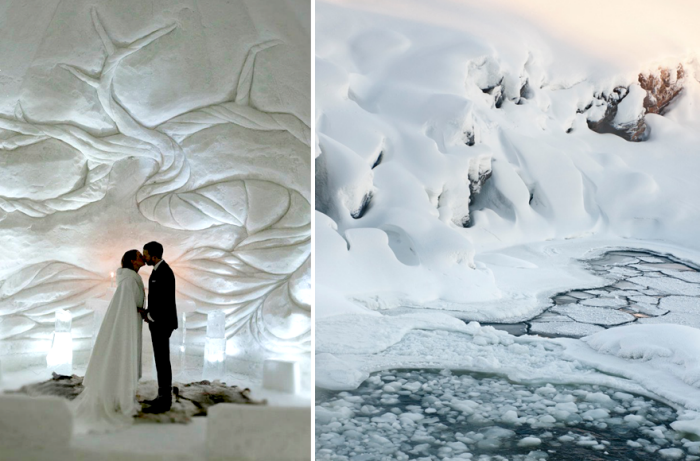 Located in Sweden, these igloos were built into the slope of Tännforsen waterfall, which freezes each winter. 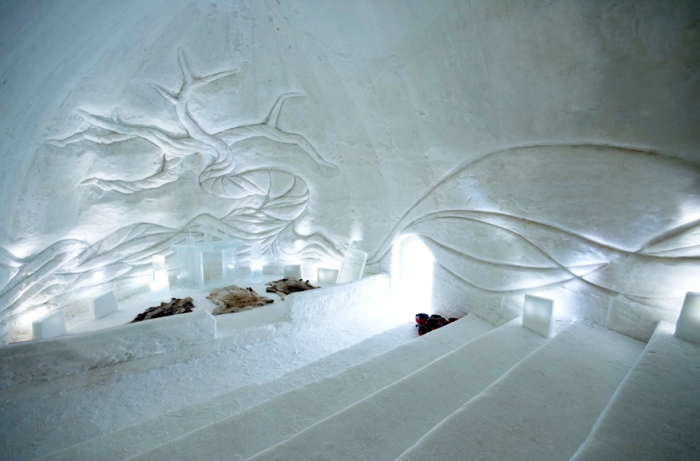 The interior was left to Susan Christianen, a graduate of the Design Academy Eindhoven, Netherlands, and a veteran designer of ice hotels. 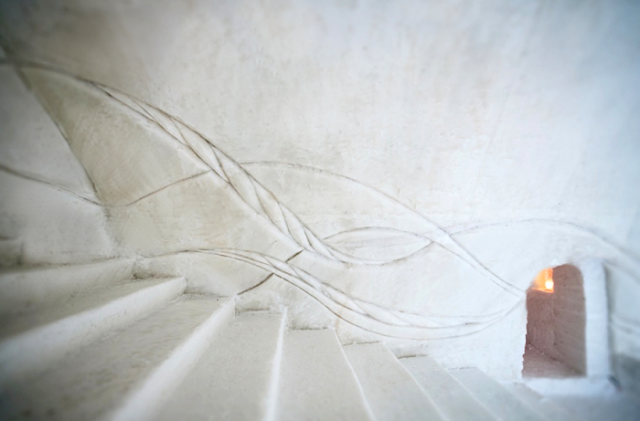 In collaboration with Anna Ohlund, Christianen drew inspiration from the Tree of Life, carving intricate patterns into the frozen walls and imbuing the ice with a sense of vitality. If that doesn't warm your bones, at least one of you can find solace in a $100 Rent the Runway gift card. Congratulations to Alex Hubbard who won the giveaway, and thank you to all who entered! That's beautiful, but cold and I don't do cold well! I love the patterns carved on the walls, bet you could create some brilliant art! This looks awesome! I'd love to stay somewhere like this I'm sure there are ways to keep warm otherwise people wouldn't visit. Is it weird that I think these igloos look surprisingly cozy?